As you guys have probably figured out by now, I love the beach and the sun, so protecting my skin is one of my top priorities. 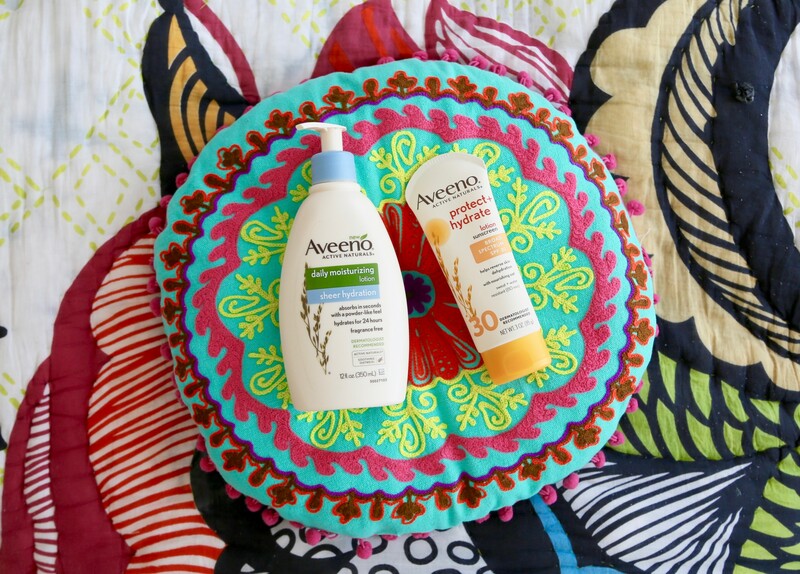 I’m an absolute skin FREAK… since high school one of my favorite brands to use has always been Aveeno! I always use Aveeno Protect + Hydrate Lotion Sunscreen SPF 30 before I leave the house, and reapply throughout the day. Another amazing product is the Aveeno Daily Moisturizing Sheer Hydration Lotion. It is awesome because my skin stays hydrated, but doesn’t feel sticky or heavy. I have super dry skin and it is more than enough to keep my skin feeling smooth. With these products by my side, I am ready for summer and some fun in the sun. My summer skin has never felt better! Which products are your summertime essentials? I partnered with AVEENO on this post. All opinions are 100% my own! Check out more amazing products from Aveeno here!